For your consideration is this pair of Star rhinestone Earrings by St. John.These earrings are clip-on earrings. 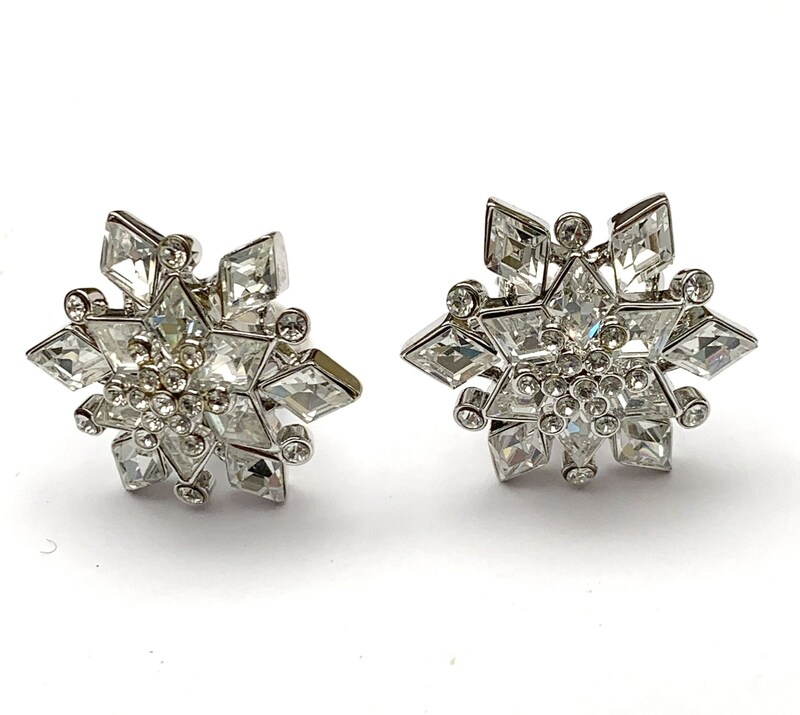 They consist of clear ice crystal rhinestones in a silver tone setting. . the shape is of a star. they are in good vintage condition. .They are in beautiful condition all stones are present . the clips are in good working condition and still have the rubber guard on them.